Dimensions 1 by 6 by 8.25 in. 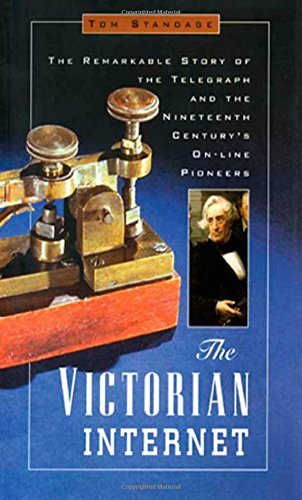 Amazon.com description: Product Description: Offers a historical review of the telegraph network, from its invention by Samuel Morse in the nineteenth century to the present day, exploring the social and political effects it has had on the world throughout its existence. About: A new paperback edition of the book the Wall Street Journal dubbed “a Dot-Com cult classic,” by the bestselling author of A History of the World in 6 Glasses-the fascinating story of the telegraph, the world's first “Internet.